This is a good rhyme for the primary class children to introduce animals, birds and their actions. I transacted this rhyme totally active based and targeted speaking and writing standards. Children also learned and wrote about animals and birds very easily and achieved targetted standards. Cuckoo Cuckoo where are you? I'll come and learn how to sing. Monkey monkey where are you? I'll come and learn how to swing. Parrot Parrot where are you? I'll come and learn how to talk. Cat cat where are you? I'll come and learn how to walk. Peacock peacock where are you? I'll come and learn how to dance. Kangaroo kangaroo where are you? I'll come and learn how to hop. Eagle eagle where are you? I'll come and learn how to fly. Fish fish where are you? I'll come and learn how to swim. 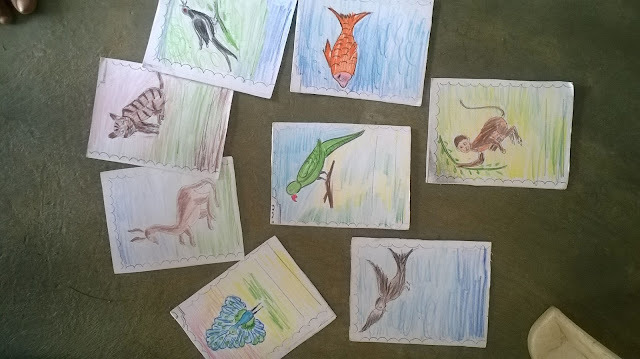 I started transaction the rhyme using picture cards of the animals and birds in the rhyme. Later I asked my children to say about those animals and birds what they can do. I elicited the vocabulary and wrote on the blackboard. And then I asked my children to underline those words in the textbook. And also I asked my children to pick out the rhyming words. 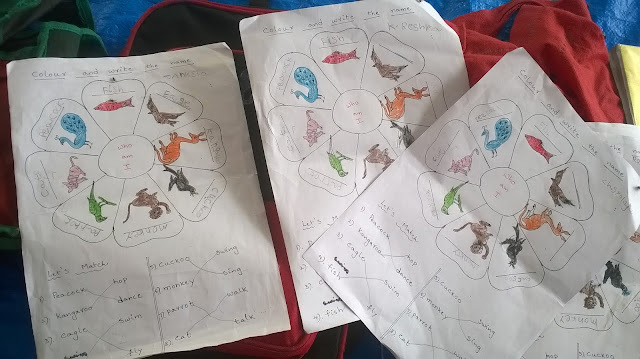 Later I explained the abilities of those animals and brought out the action words related to the animals and birds. Children came to knew, Cuckoo can sing, Monkey can swing, Cat can walk......etc. Children practiced the spellings of the vocabulary and evaluated. 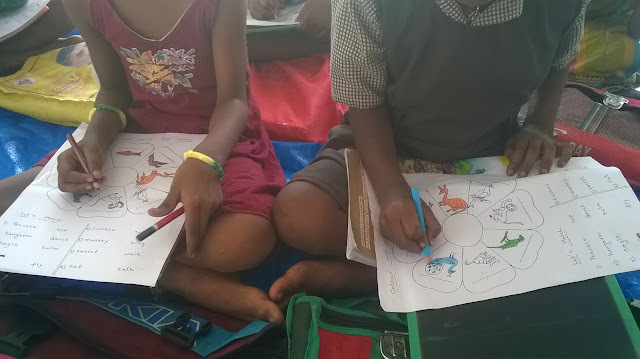 I had given a worksheet to colour and write the names along with the matching activity. And then I planned a speaking activity using flashcards. I explained using gestures like "I am cuckoo, I can Sing" by showing the cuckoo flashcard. I continued and acted with the rest of the cards and wrote the sentences on the board. Later I asked my children to come and say by picking the card. They presented very well and practiced the sentences also. 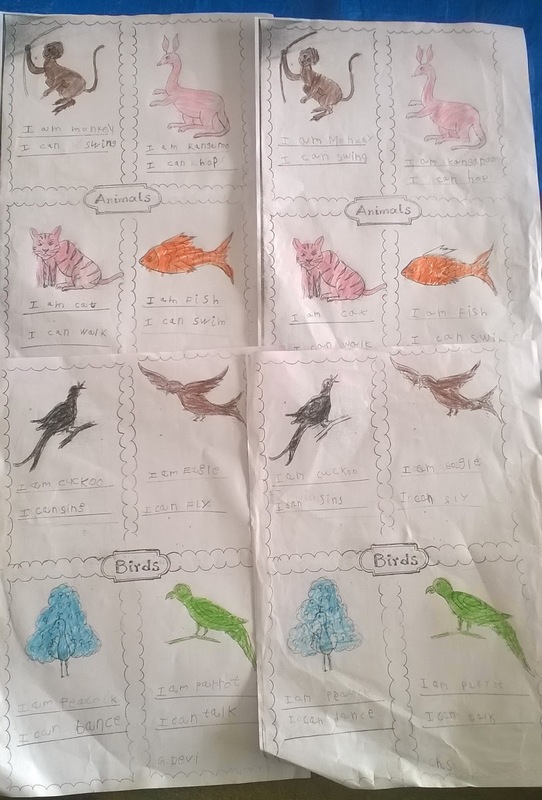 This activity helped me to do writing activity and children wrote about them in sentences on a given worksheet. Children had undergone different writing and speaking activities. Finally, I gave the tune and choreographed the rhyme. You can download the worksheets and watch my children's presentation in the blow video and links. Hope you enjoy the lesson and use in your classroom.